Summary: When teenage children are old enough to start driving, parents may look to buy an older and smaller car for them. An older and smaller car may cost less and will be easy to handle; however, the safety features in these cars may not provide adequate safety in the event of an accident. The safety features of newer cars have generally made cars safer and have reduced the fatality rates across the United States. The Insurance Institute for Highway Safety has conducted studies which reveal that over 50 percent of teenage drivers in the age group of 15 to 17 years, who were killed in automobile crashes in the period 2008 to 2012, were driving cars that were at least 11 years old. The research also indicated that almost 33 percent of these teenagers were driving small cars and 60 percent of teenagers drive cars that are older than eight years. These statistics have amplified the fact that newer and larger car models are safer as compared to older and smaller cars. The research further indicates that while a car crash may involve vehicles of any size, fewer teenagers were killed in vehicles which were larger and had better safety features. The improved safety features of modern cars ensure that occupants have better protection in case of a collision as compared to older cars. This improvement has brought about a decline in the number of deaths by almost two-thirds in a decade. This reduction in the fatality rate can be attributed to innovative safety features such as the electronic stability control system, which prevents a car from skidding and turning over. These features are not available in older cars that are driven by teenagers, hence making them quite unsafe. When you plan to buy a car for your teenage son or daughter, the rule of thumb to follow is that you should never purchase a car which was made when your child was in elementary school. The reason that parents will purchase a smaller, older car is affordability; however, understand that driving these older cars puts your teen driver at risk. There is a list provided by the IIHS which gives a number of used vehicles in the range of $5,000 to $20,000 that have adequate safety features for teenage drivers. 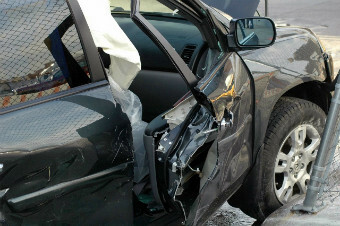 In case someone close to you has been injured in a car accident caused by another person’s negligence, immediately seek legal help from a St. Louis car accident lawyer. Call The Hoffmann Law Firm, L.L.C. at (314) 361-4242. We will educate you on your rights and help you get the benefits that you deserve.